Up to 40 people are now reported dead in the Portuguese island of Madeira following severe flooding. 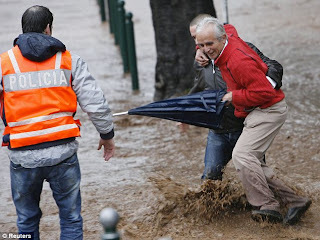 Flash floods sent tonnes of mud and stones cascading into towns and villages across the island. Lambeth is home to a large population of Madeirans based around Stockwell, and the borough regularly hosts an annual Day of Madeira celebration after local Labour councillors backed community demands for the event to be held.